For months now, PokerStars has been trying to reenter the United States online gambling market and choose the state of New Jersey as their entry point. After issues with licensing and constant delays, it seems as though PokerStars will never get the chance to offer online poker game play for residents in the state. 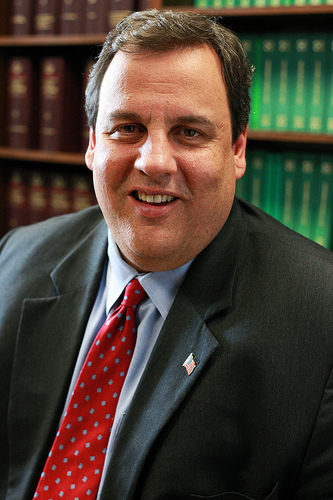 Once the brand was acquired by Amaya Gaming, it seemed as though they had a chance but now reports are surfacing that New Jersey Governor Chris Christie is behind the delays in seeing PokerStars licensed within the state. According to reports by BusinessInsider, Christie has used his position as Governor to persuade the Division of Gaming Enforcement in New Jersey to delay allowing PokerStars to enter into online poker within the states borders. According to the reports, several officials have come forward with information claiming Christie is involved including State Senator Ray Lesniak. Lesniak reported to Hunter Walker, the writer of the article, that with a ‘degree of confidence’ Christie put a stop to PokerStars gaining a license in the state. Lesniak stated that he does not believe anyone will go on record to confirm it though. The Head of the Atlantic City Union representing the employees of casinos, Bob McDevitt, also stated that his impression was that PokerStars should have already been licensed and operating long before this point and it is his understanding that it was the Governor and the Attorney General’s office that caused the hold up. Others spoke to Walker and wished to remain anonymous due to the process of licensing is still ongoing but were blunt when placing the blame on Christie. Some believe politics are involved and that Sheldon Adelson is the reason the brand has not moved forward to gain licensing. Christie’s office has not responded to any questions of the PokerStars licensing process but do deny these claims of Christie interfering with the process.